Tuesday, July 17, 2018, 4:30 – 5:30 p.m. Play math and reading games! Get better at math and reading this summer with a high school buddy. 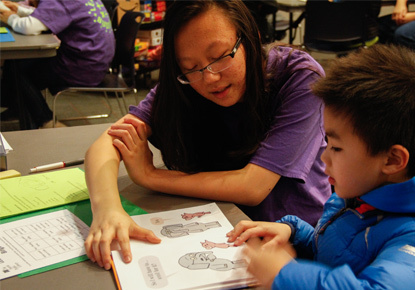 Learning Buddies is a program that pairs elementary school students with a high school mentor. This is a first come-first served, drop-in program for children going into grades K-5 this fall. Each buddy session will last up to one hour.